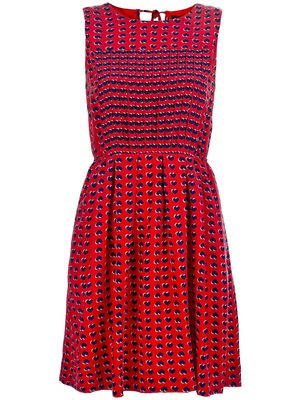 Many prints have had their moment in the spotlight this year, but latest print to take my heart is, well the heart print. 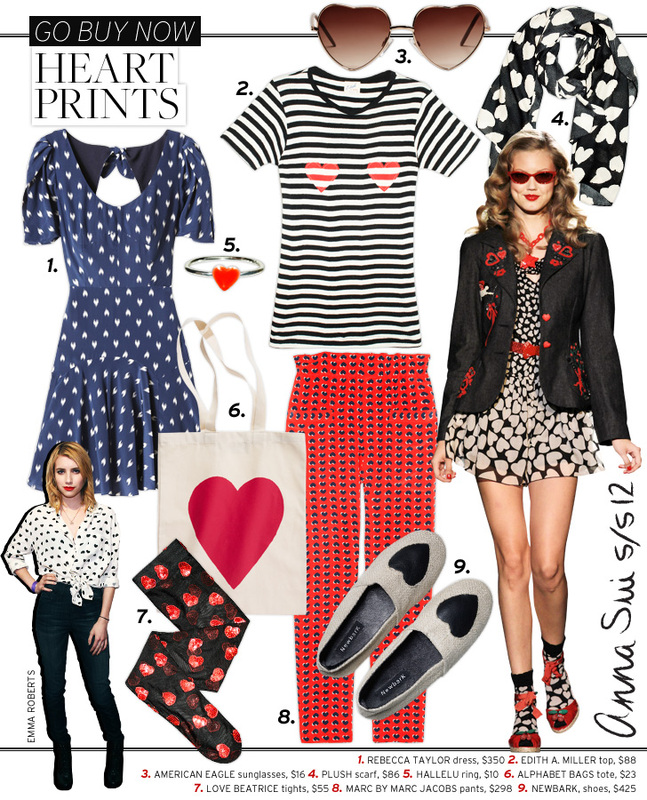 Valentine’s Day may be a far-off memory at this point, but that doesn’t mean you can’t inject a little romance into your summer wardrobe with this trend. heart prints were spotted at both Anna Sui and J Crew’s spring show. This trend focuses on the print and not a particular piece, the styling choices are endless. Its best to incorporate this look into your casual, everyday closet, you should take notes from Emma Roberts, Reese Witherspoon and Taylor Swift who dawned the print in a top and dress.